As we expected, T-Mobile today finally announced the Nokia Lumia 810 is coming to the carrier “within the coming weeks” with of course no pricing given, as it expected these days. The 4.3” device features an OLED WVGA Clear Black display at 800x480 with an 8MP rear as well as a 1.2-megapixel Skype HD certified front-facing camera. In addition, T-Mobile will offer to interchangeable back overs in black or cyan to add some style. It's an interesting name change from Lumia 820 to 810 but we strongly hinted at this in our editorial last week on the matter of "exclusivity". Here, T-Mobile is claiming exclusive to the Lumia 810. 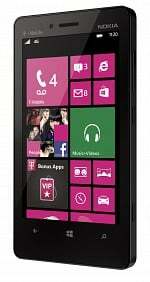 T-Mobile USA, Inc. and Nokia today announced the upcoming availability of the Nokia Lumia 810 — an exclusive to T-Mobile. The new Windows Phone 8 smartphone offers an enhanced camera, simple design and integrated navigation features. 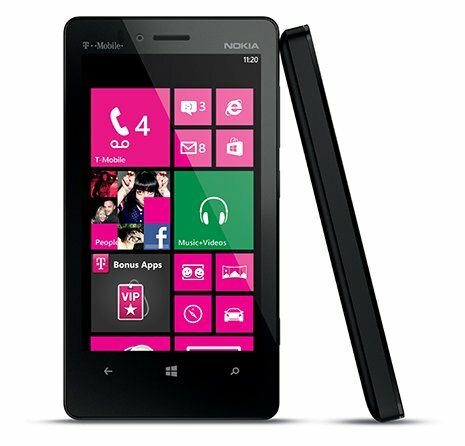 Combined with the only unlimited nationwide 4G data plan, T-Mobile customers will see a superior value with the Lumia 810, the latest addition to T-Mobile’s expanding lineup of Windows devices. Featuring a 4.3-inch OLED WVGA Clear Black display, the Lumia 810 offers high-end performance in a compact package. The new smartphone is powered by Windows Phone 8, making it easy for users to personalize their device and experiences and always stay connected to friends and family. T-Mobile will offer exchangeable shells in cyan and black, which will allow the device to take advantage of Nokia’s convenient and innovative wireless charging solution. The Nokia Lumia 810 is expected to be available in the coming weeks. For more information on T-Mobile’s devices, visit http://www.t-mobile.com. For more information on T-Mobile’s Unlimited Value and Monthly4G plans, see: http://family.t-mobile.com/phone-plans.